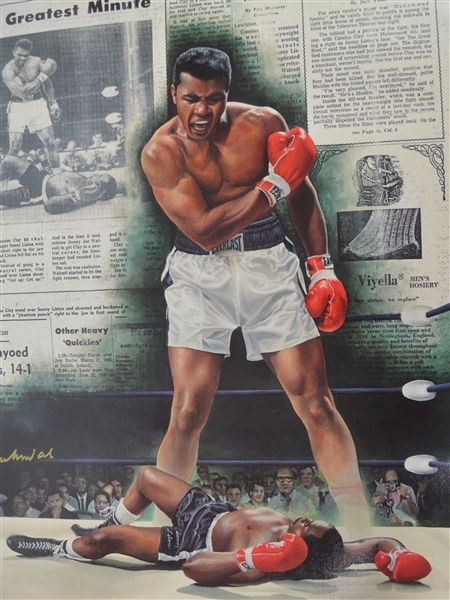 This lot features a rare Muhammad Ali 2004 Gold Signature Edition lithograph. 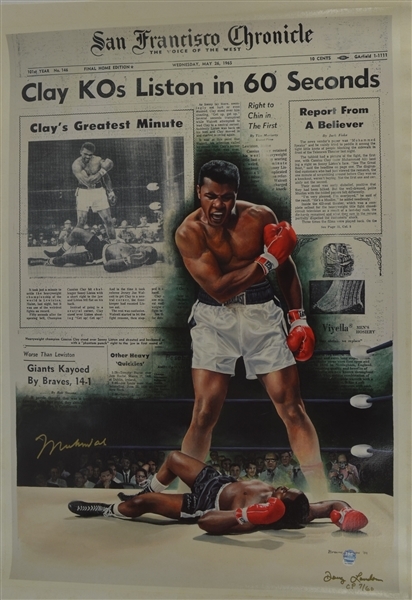 The artwork, created by renowned artist Doug London, captures the defining moments of one of the most prominent fights in the career of Muhammad Ali AKA Cassius Clay depicting that famous moment, when after dropping Sonny Liston with a short stiff right to the jaw, Ali stood over the woozy Liston taunting him to "Get up!" 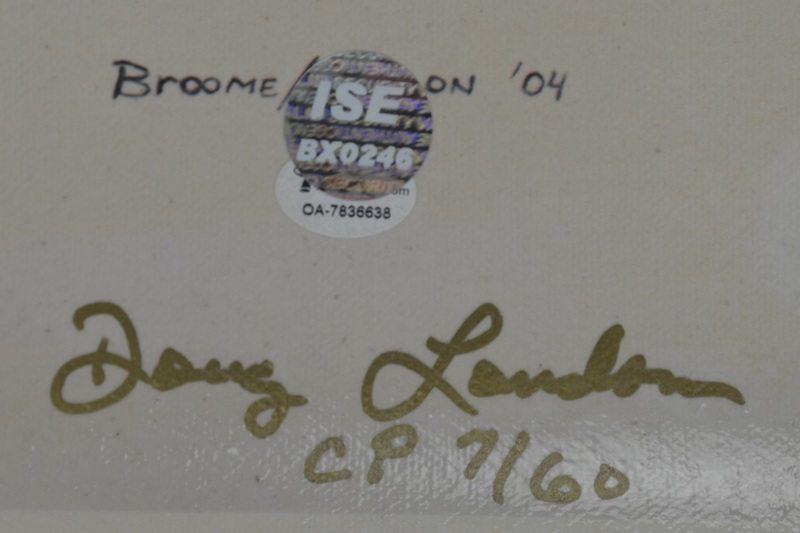 Since these rare prints were signed so many years ago in 2004, Muhammad Ali's signature is a beautiful strong legible signature. 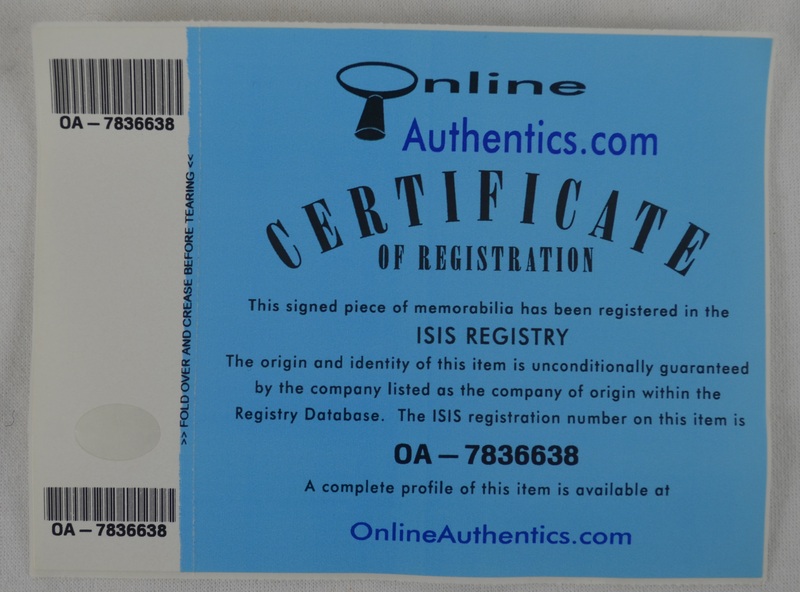 Muhammed Ali's signature is guaranteed authentic by OnlineAuthentics, a company set up by Muhammed Ali's Management Company. This special Gold Signature Edition CP (Champion Proof) of only 60 giclee on canvas prints retails for $6,995 unframed. This treasured beauty is numbered #7/60 and signed by both Muhammad Ali and Doug London in gold marker. 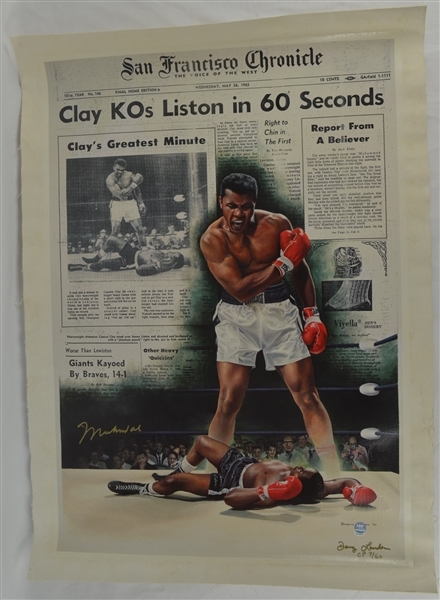 These special Champion Proofs were set up by Muhammad Ali himself because Ali intended these 60 pieces (6 kept by his family) to go to special people within his environment. Very rare to ever see one of these treasures available.